As most of you know, we moved into an apartment this summer. Less space has definitely been an adjustment. One of the trickiest things for me was reworking all my decor and furniture. 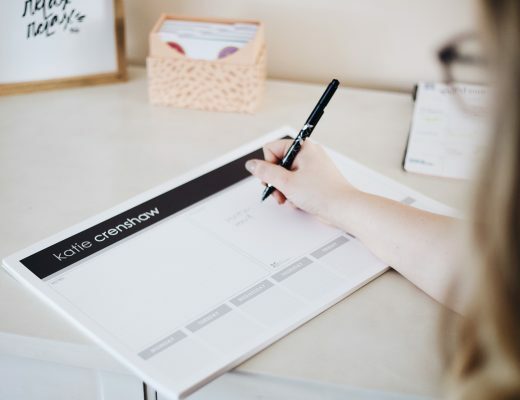 Without getting rid of too much, I had to figure out how to decorate a much smaller space and not simultaneously clutter it more. I truly love having cozy gathering spaces in my home. No matter where I live, I always want to be in a place where I can host (at least a few) friends for a meal or a glass of wine. The key to feeling at home in a temporary place is undoubtedly the way it’s “staged”. 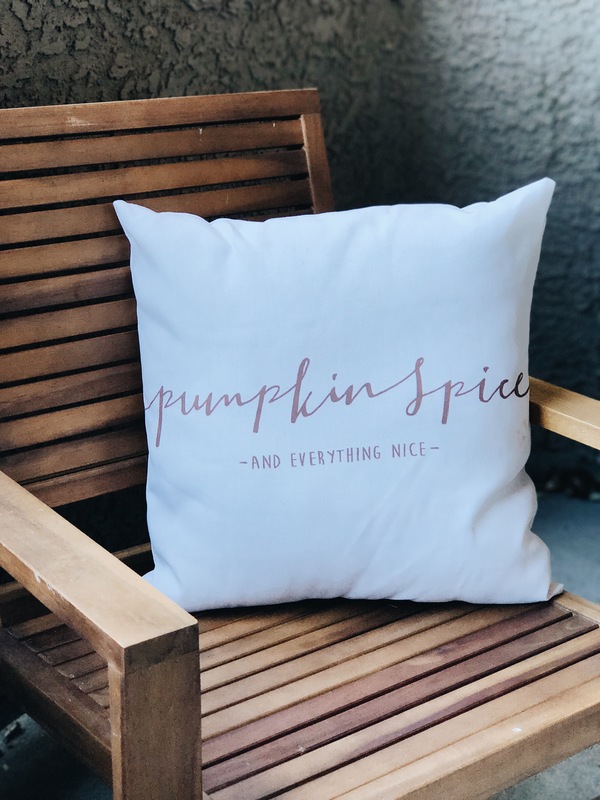 Now that Fall is here and the weather here in NorCal is basically perfect, I wanted to make sure my little outdoor nook was ready for a cozy morning with my husband and hot coffee or a late night with girlfriends and sips of Pinot. 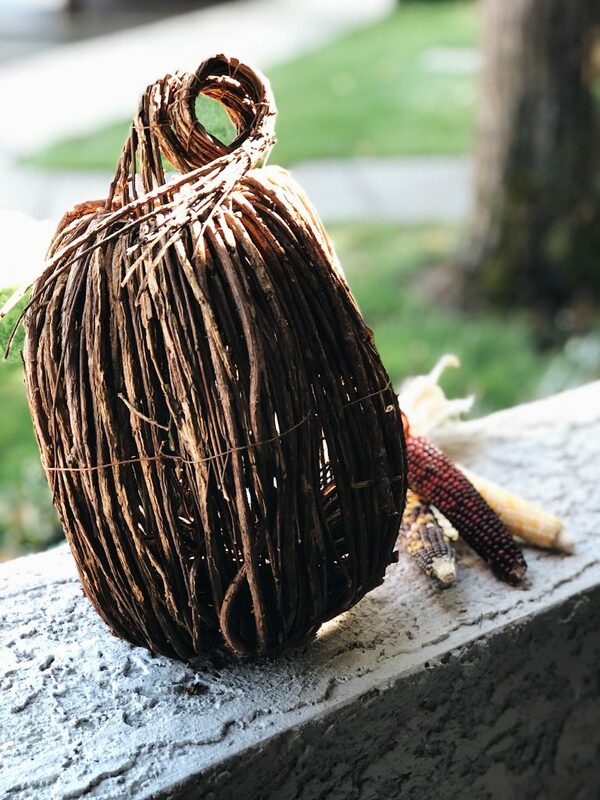 I was so excited to partner with Jasco again to show you a fun way to spruce up a tiny apartment porch, patio or balcony. Creating comfort with ambiance from light is my favorite thing. I hate bright lights, and if you were to come to my house, you would see that I adore spaces with quaint lighting through lamps and string lights. 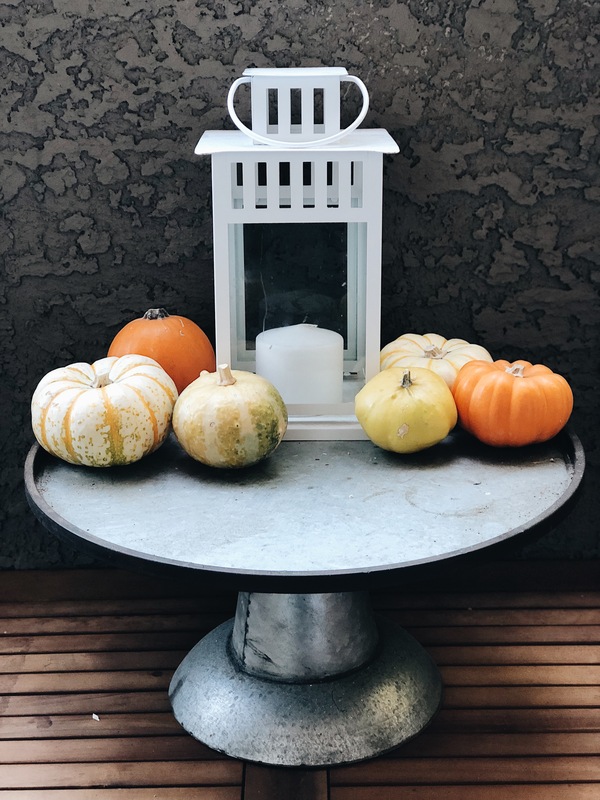 I searched for years to find the perfect outdoor garden lights. Several strands I tried would shatter easily if they touched anything. Some were too dim, some were not attractive. 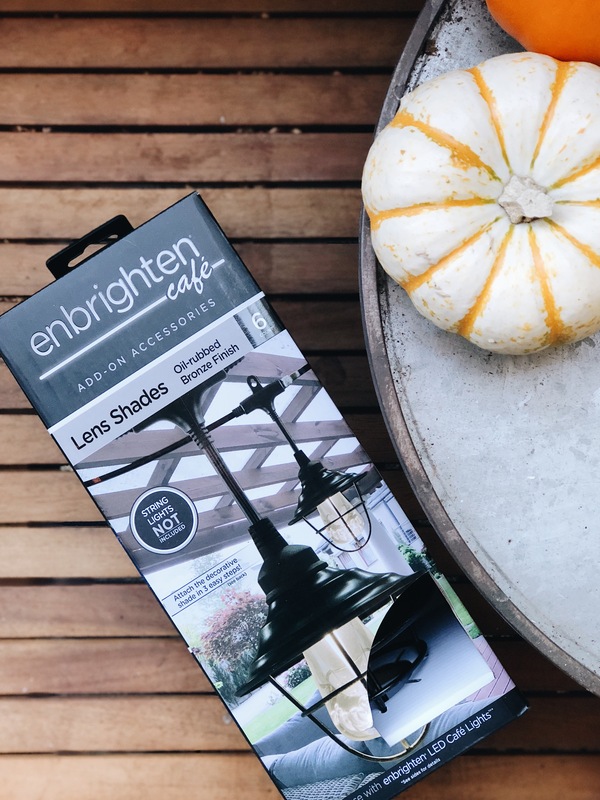 Enbrighten Café LED Vintage Lights are definitely the best out there. You might remember this post from last year where I used the same brand of lights to decorate my back deck in Georgia. I have even used them in Grayson’s room as some added fun to the top of his play tent. Earlier this summer, I dressed up our back yard in the house we were temporarily in. Jasco’s Enbrighten Cafe Vintage Lights have cool features that make them stand out in comparison to other brands. First of all, these lights are known for their “shatterproof” design.These guys are incredibly durable. They also stay cool and not hot to the touch since they are LED powered. 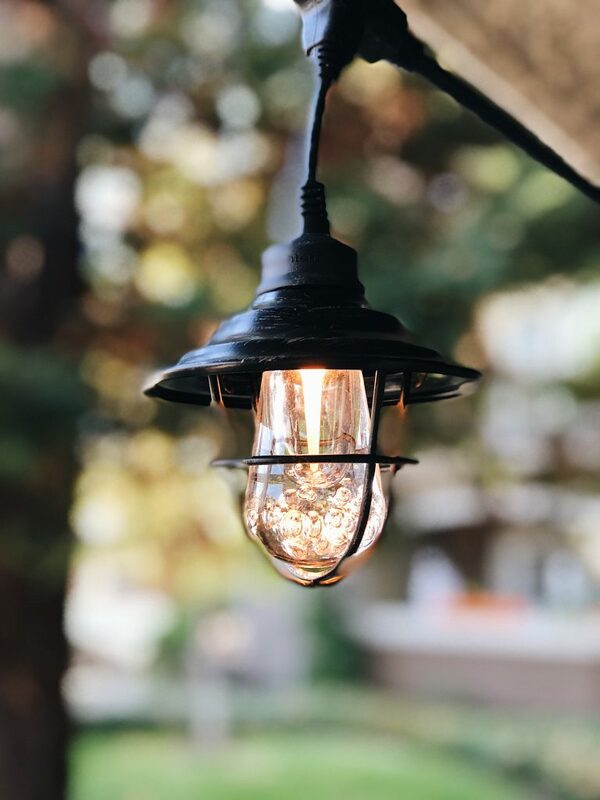 I also love the vintage aesthetic of the Edison style bulb, especially paired with the new cage accessories and give the lights a whole new look for your space- they even come in white or black strings. These lights are impact resistant and won’t break if dropped, stepped on, or blown around in the wind. They even life a lifetime LED bulbs, so you never have to replace them anyways! Do you have a space for entertaining outdoors? Remember, even if you only have a few square feet- you can still make it cozy and inviting! 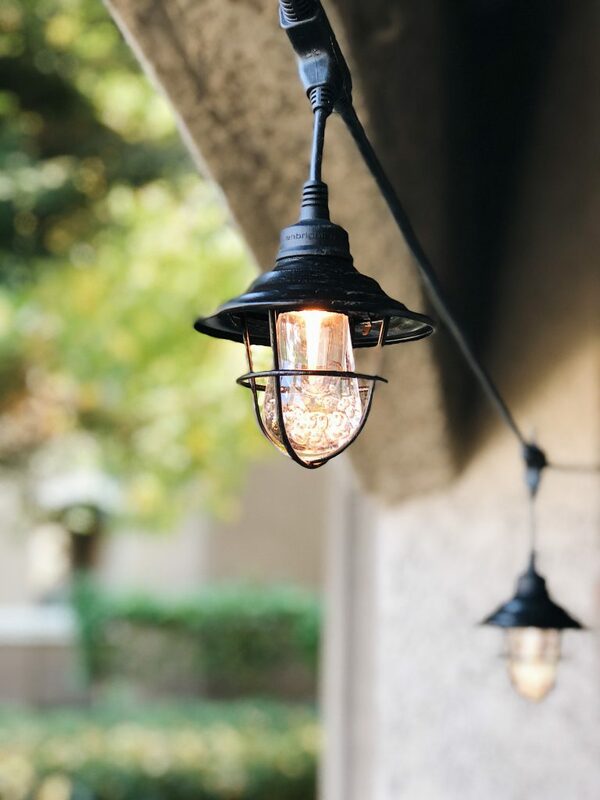 Find these lights at any retailer below!